The Good, the bad and the ugly. You’ve seen the ads on the Internet, on television, on billboards, even tacked to telephone poles: “Reduce your monthly payments by 73 percent!” “We can wipe out your debt in 12 months!” The message is seductive, the marketing is powerful, especially for anyone feeling overwhelmed by a pile of overdue bills, phone calls from collectors or the fear of losing a home or automobile. Today, debt consolidation is big business and growing bigger every year as more Americans sink under the load of too much debt. Just how much debt is cause for some debate, but by some accounts, the country is $744 billion in debt just from credit cards, with the amount rising every year. Preying on debtors’ desperation, dozens of so-called nonprofit debt consolidation companies have opened their doors for business, ostensibly to help stressed Americans solve their debt problems. But the kind of help they are handing out, say financial experts, is likely to cost debtors more than they bargained for and can cause significant damage to an already shaky credit rating. What’s the problem with companies helping consumers get out of credit trouble? At best, many of these companies charge sky-high fees and dish out shoddy service to consumers who need basic help with climbing out of debt; at worst, many others engage in deceptive practices and are outright scams. Instead of offering counseling and time-tested strategies for reining in debt, these companies take debtors’ money, promising to negotiate amounts due to creditors and pay off debts with lower monthly payments. But they inflict deeper financial wounds to consumers when they fail to make sufficient payments or make no payments at all to creditors. A common practice — pocketing a consumer’s first month of credit payments — puts debtors a month behind at the beginning of the process, so their accounts immediately get hit with late fees and penalty interest rates. 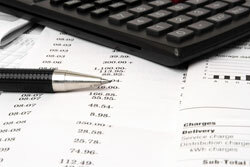 To stay current, consumers must pay monthly credit bills on their own on top of a debt consolidation company’s hefty, upfront fee — two months of creditor payments in a single month, information that is often learned only by reading the fine print of a debt consolidation company’s contract. Even if they know about the practice, consumers already strapped for cash are unlikely to manage an extra payment. In the meantime, credit scores plummet. In other cases, companies charge as much as 3 percent of a consumer’s total debt for their services, adding significantly to the debt burden. Part of the problem with debt consolidation companies stems from no federal oversight of counseling agencies. Only about half of the 50 states have requirements for debt management companies, but nonprofit companies — most debt consolidation companies bill themselves as nonprofits — are typically exempt from restrictions. Laws, where they exist, are general, and the assumption has traditionally been that nonprofits are pro-consumer. But complaints have been rising against these companies, and a number of attorneys general, the FTC, the IRS and other government agencies are beginning to take action against blatant wrongdoers. Some have already been shut down. In fact, the term “debt consolidation” company has received so much bad press in the past 10 years that some have repackaged themselves as “debt negotiation” companies or “debt settlement” companies. Let the buyer beware: The problems remain the same — or worse; these companies offer consumers nothing but trouble. Of course, reputable credit counseling agencies exist and can be lifesavers to consumers who have few or no other options. Typically, these agencies charge low fees for debt-management and related services, including counseling to help consumers break the credit card habit. These better alternatives include members of the Association of Independent Consumer Credit Counseling Agencies (AICCCA) and the National Foundation for Credit Counseling, the oldest network of nonprofit counseling agencies. The AICCCA caps enrollment fees for its debt-management plans at $75, and member companies can charge no more than $50 a month for service fees. Many members charge less than the caps. Members of the NFCC, mostly known as Consumer Credit Counseling Services, charge an average of $14 for budget counseling sessions, an average enrollment fee of $19 for a debt management plan, and an average monthly fee of $12 for a debt-management plan. Clearly, it is possible to find affordable and reliable debt management and consolidation services by contacting trusted sources. Local members of the AICCCA can be found by calling 1-800-450-1794 or visiting its Web site, www.aiccca.org. 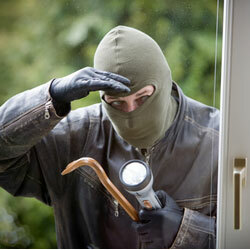 The NFCC provides local referrals through its phone number (1-800-388-2227) and Web site, www.nfcc.org. • Charge high up-front or monthly fees for enrolling in credit counseling. • Pressure you to make voluntary contributions, just another name for fees. • Refuse to send free information about the services they provide unless you provide personal financial information, such as credit card account numbers and balances. • Want to enroll you in a debt-management plan without spending the time necessary to review your financial situation. • Want to enroll you in a debt-management plan without teaching you budgeting and money-management skills. Look for certifications and third-party registrations. Ask any company you’re considering for references and confirm them. Expect to get answers to all your questions about the debt consolidation process and any fees associated with services you request; if you can’t get straight answers or a clear understanding of the process, find another resource. • If you are knee-deep in debt, you’re doubtless looking for a way to climb out of the pile of bills that keeps you weighed down. You’re certainly not alone. The average American pays more than $1,000 a year in interest fees and carries a balance of $9,100 on two or three credit cards, according to recent estimates. • If credit counseling doesn’t seem like the right route for you, consider a step-by-step approach to helping yourself out of debt. • Calculate how much you actually owe. Many people get in debt trouble simply because they don’t know exactly how much they owe. • Cut up all credit cards except the two with the lowest interest rate. • Pay down high-interest cards first. 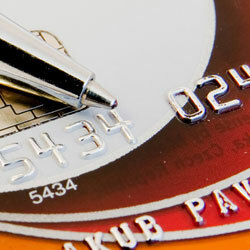 Focus your efforts on eliminating the credit balance with the highest interest rate first. Then work your way down the list to the balance with the lowest interest rate. Make no new debt until balances are paid in full. • Pay more than the minimum required. • Consolidate your debt. Some card issuers offer introductory rates that are below 5 percent for a period of time. You may want to consider transferring your largest high-rate balances to a card with an extremely low rate and paying them down aggressively. • Consider using savings, a home equity loan or a line of credit to get out of debt. Remember, however, that the home equity option can be risky. If you default on the loan, you can lose your home.